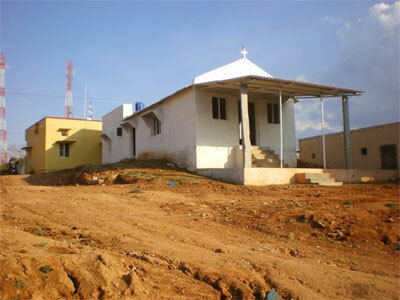 Mustard Seed Ministries has a long-standing relationship with Pastor Lawrence and his family, in partnership with the Oasis Centre who have taken a lead role in financing the building of a new church and most recently an additional floor to provide a home for orphans and needy children. 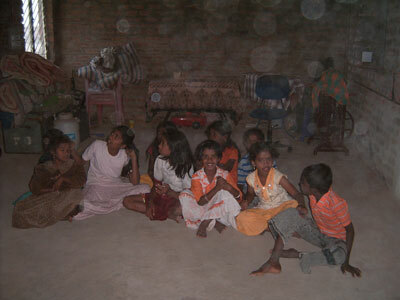 The home has 15 children aged between three and eleven years of age and they are receiving much needed love, care and education at local schools. The second stage of construction is now under way and will provide additional accommodation enabling the project to expand. 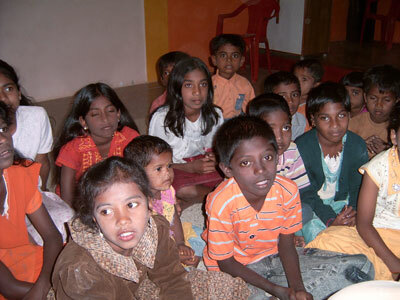 In addition to the work with the children the church is reaching out practically and spiritually to the poor and needy families in their locality. They have a particular heart for those living in the slum areas, on the brick works and those confined to leper colonies. he lives in a rural area a couple of hours from Bangalore. They experienced an outpouring of the Holy Spirit the first time we went there and the whole church was baptised in the Holy Spirit. Every time we visit it rains ( they see this as a miraculous sign) the first time this happened it hadn't rained for 3 years! Only the area where we were got rained on! they have a new building. 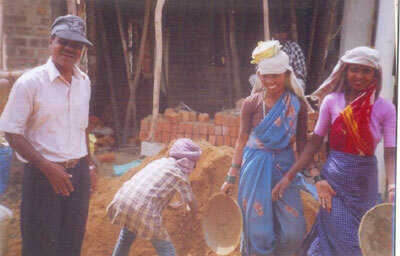 Most of their growth comes from Hindus seeing God at work and healing. 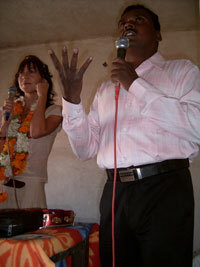 They are establishing churches around the area, with his team of Pastors. 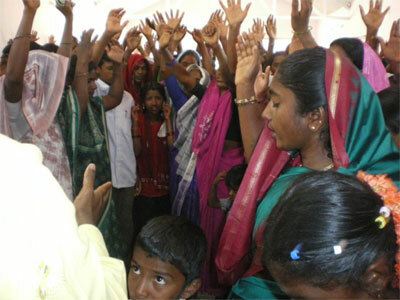 The church regulalrly experiences persecution but continues to grow.